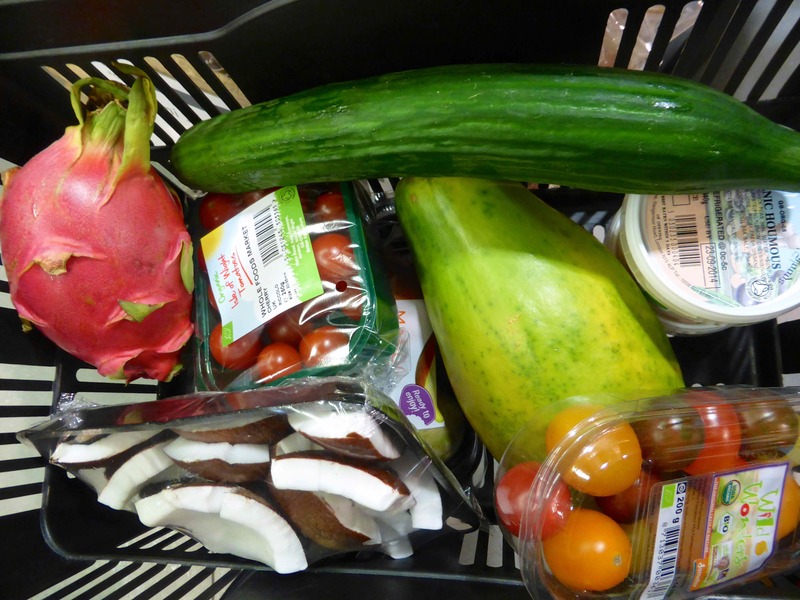 I have eaten so many fruits and vegetables today I think I might be photosynthesising tomorrow. I bought this salad yesterday to eat in the evening before I went out but plans changed and I went home so I left it in the fridge at work and enjoyed it for breakfast today instead. I really enjoyed it. 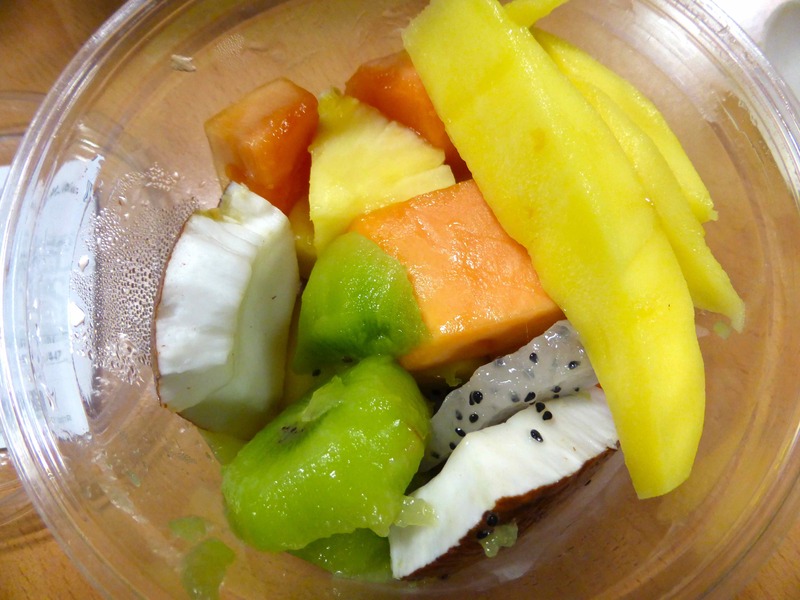 I went back to Wholefoods Market today to buy some more of those tropical fruits for the weekend. 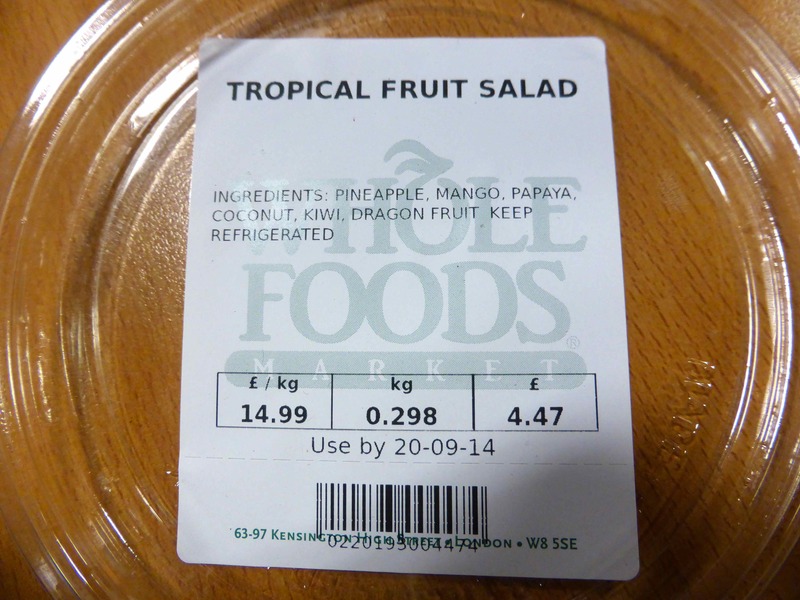 This time I bought whole fruits so I can make my own fruit salads as it is very expensive buying them ready chopped. I hadn’t had a juice for breakfast so I bought one for lunch. 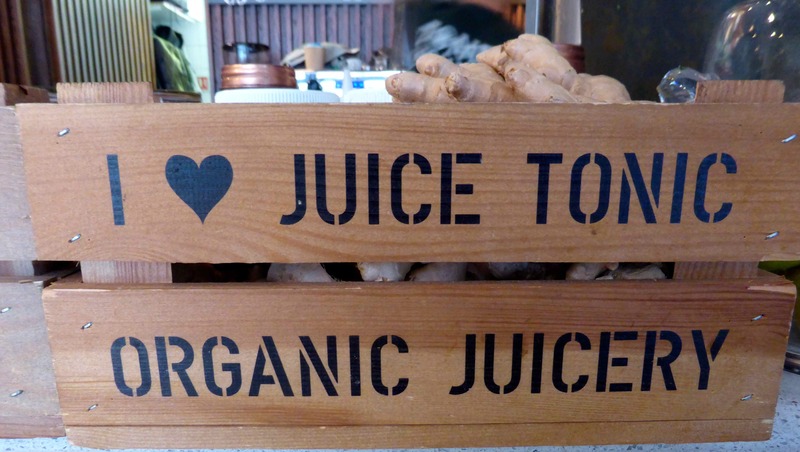 I went in to Juice Tonic Organic Juicery, which is one of the juice bars I passed yesterday. It is also one I was recommended by one of the people I follow on Instagram. Thank you @superfoodsusie for the recommendation. 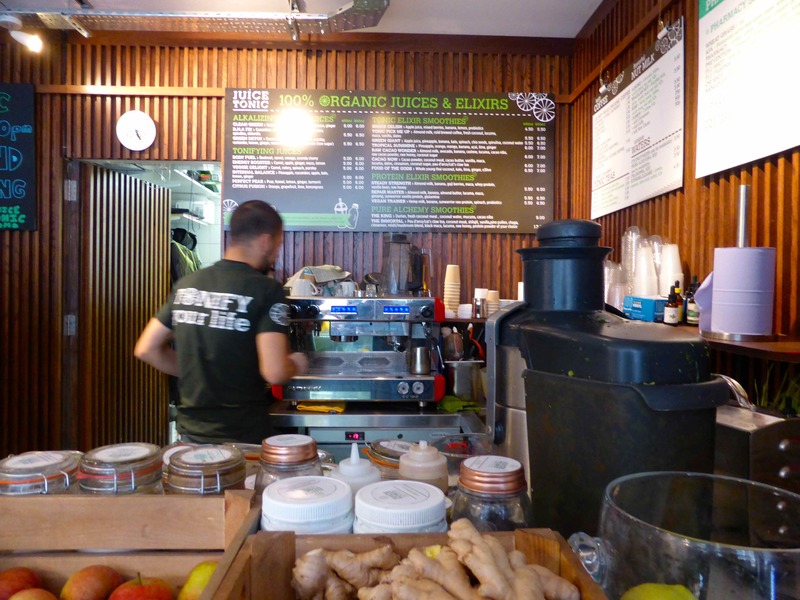 The juice I had was great, the vibe in the juicery was good and the music they played was lovely. I could easily have sat there and enjoyed my juice but I was rushing to get back for a meeting. My only disappointment was the unfriendliness of the staff. Well, at least the one who served me. Maybe it was an off moment but I did not feel like a customer but rather an interruption to their day. I will try again though to give them the benefit of the doubt. 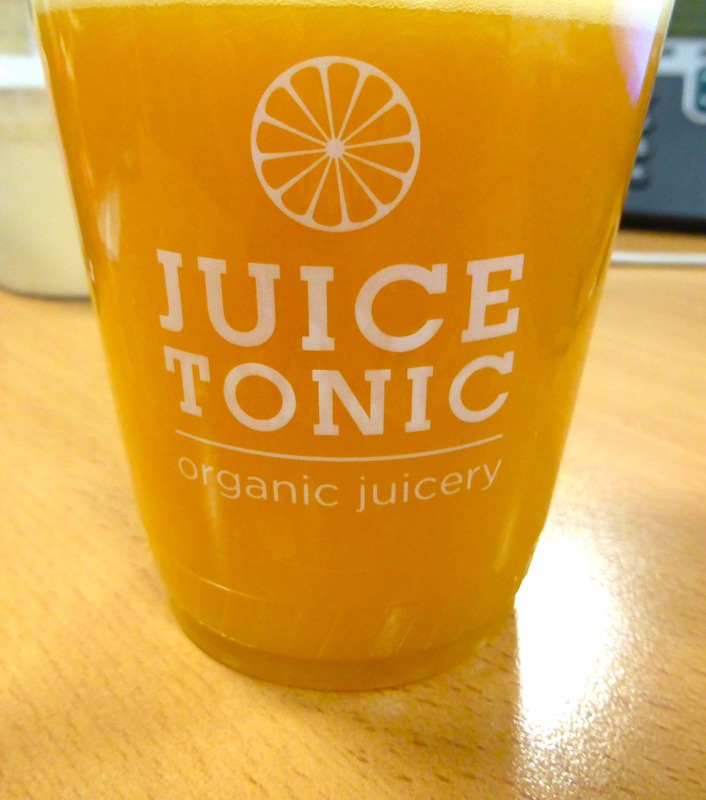 I have been craving citrus today so chose this juice. It’s 400ml of ‘Citrus Fusion’ made with orange, grapefruit, lime and lemongrass. Delicious. 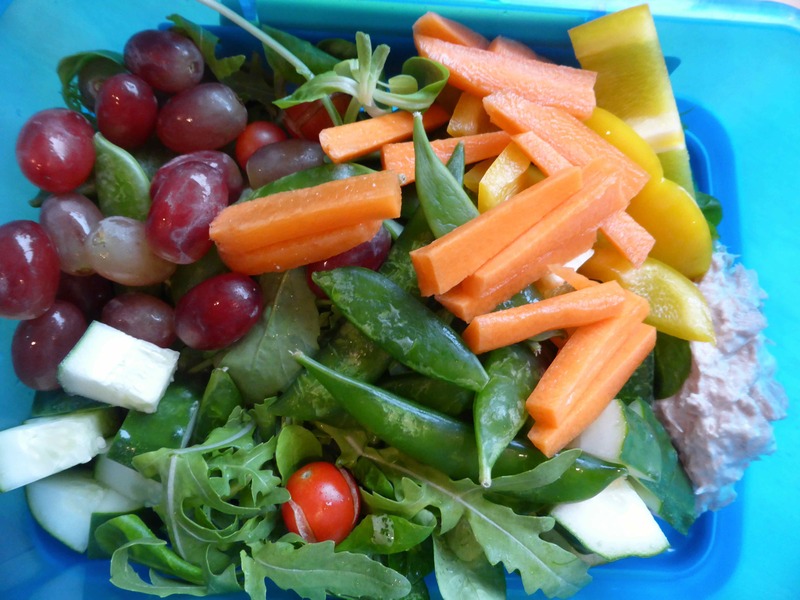 I prepared my lunch at home this morning and took it to work. 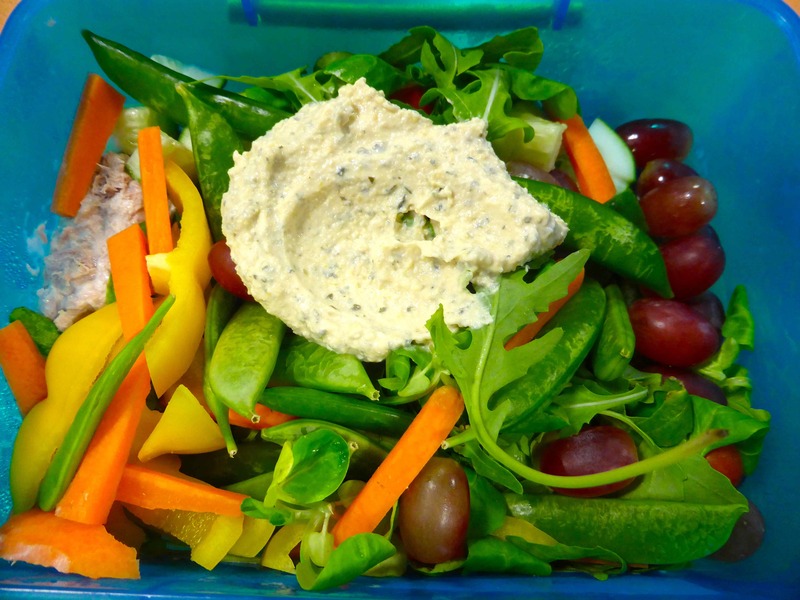 I mixed about 2/3 of a tin of tuna (in brine) with mayonnaise and added it to the box with yellow peppers, lamb’s lettuce, rocket, carrots, yellow pepper, sugar snaps, cucumber and tomatoes from the garden and red grapes. 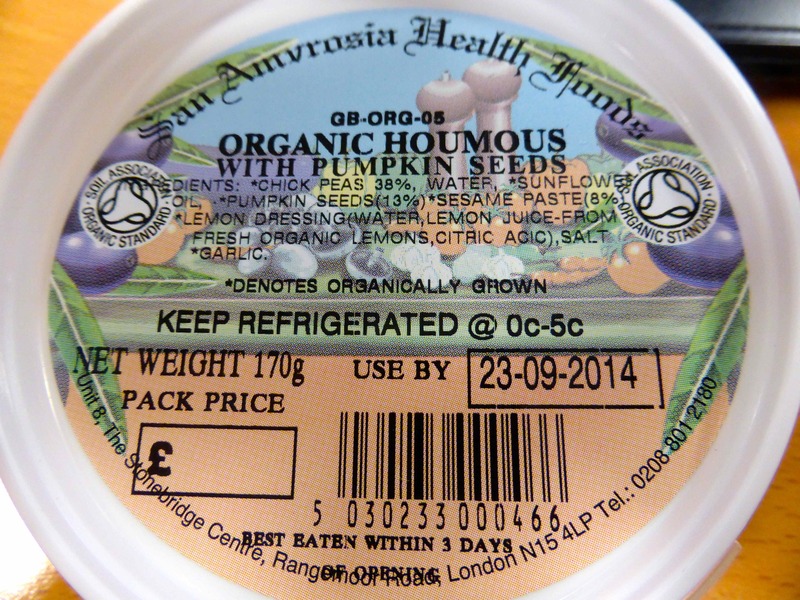 I bought this houmous at lunch time. And added 2 tbsp to the salad. I slowly munched my way through this salad while I worked. I really enjoyed it and must take in my own more often. Last night I had some chocolate. Lara had bought me a bar of my favourite Lindt liquer chocolate for my birthday which I had been resisting but for some reason last night I had to have it. We shared it but I had most of it. I often fancy something sweet in the evening so tonight I decided to make myself something sweet but healthy for supper. 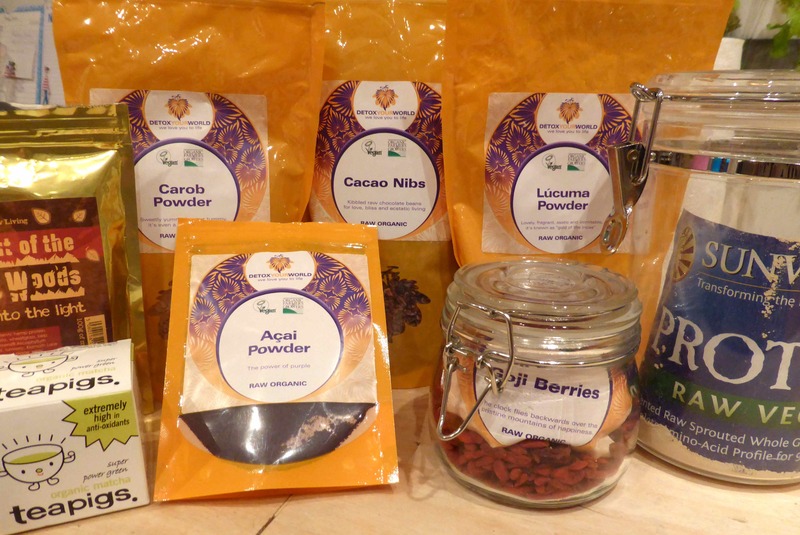 I blended 2 frozen bananas and some frozen raspberries with half a cup of soya milk and all these superfoods. I was craving oranges again so I layered the chocolatey banana ice-cream in a tall glass and put the chopped up orange in the middle. 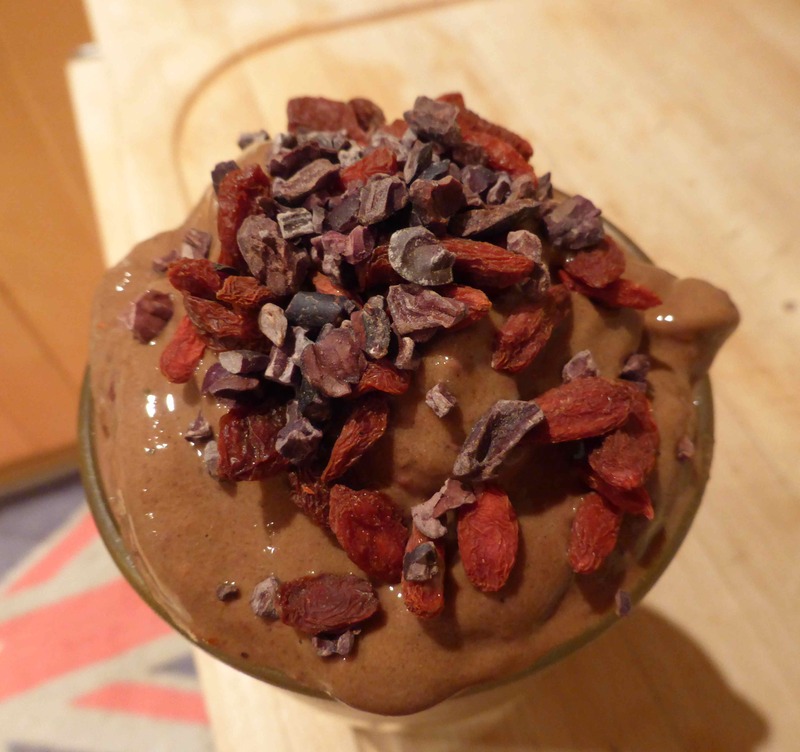 I topped my chocolate orange ice-cream with Goji berries and cacao nibs. Super yummy and it seems to have done the trick with those chocolate cravings. I must eat like this more often. 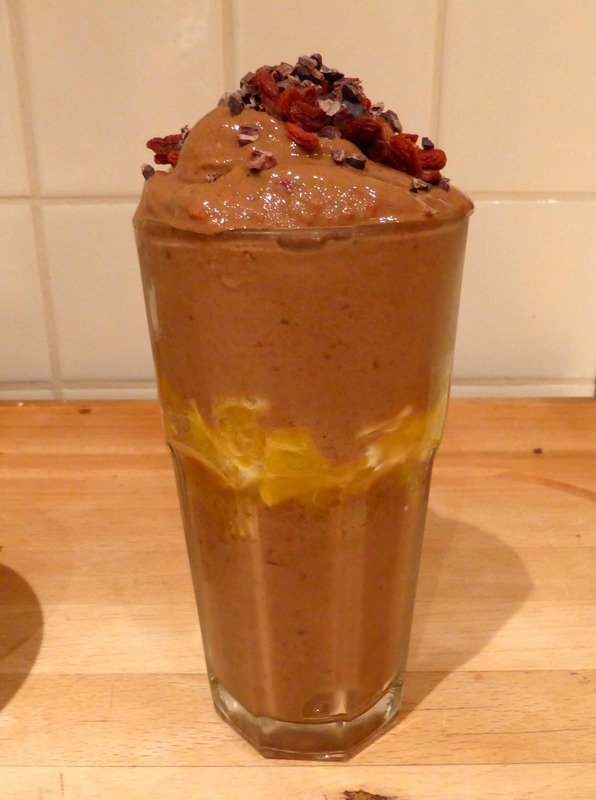 This entry was posted in Uncategorized and tagged Banana ice-cream, cacao nibs, Fruit, Goji Berries, Juice, nana ice-cream, Salad, Wholefoods Market. Bookmark the permalink. I’m glad you were able to find a healthy substitute to the chocolate situation. My downfall is Lindt’s Intense Cranberry. I found another one in the Bulk Barn that is 73% Dark Chocolate covered Cranberries that is even more of a challenge to not have more than 2 pieces.